John co-founded BPEA in 2002 and is a managing director of the firm. He is responsible for the overall management of the firm, and oversees the investment process for all fund and direct investments and strategy implementation of the firm. John began his career at Advent International Corporation in 1985. He was one of the first employees and its first analyst. While at Advent, he was responsible for the establishment and development of several operating programs including the analyst and the proactive deal sourcing programs. 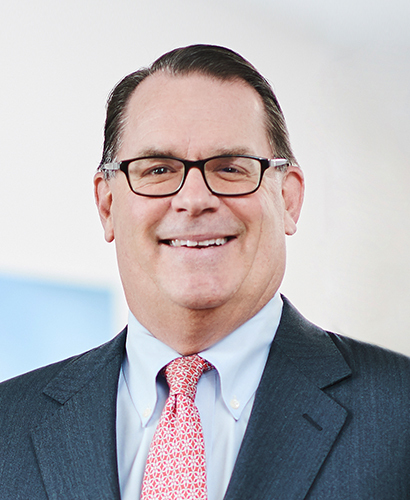 John worked in all of the investment areas of the firm including early-stage technology, growth equity, and leveraged buyouts, while covering every industry sector including healthcare, industrial, retail, consumer products, and technology. In 1996, John moved to Singapore to help integrate the acquisition of Advent’s affiliate in the region, South East Venture Investment Corporation, into Advent and to reposition the group to execute larger, later stage transactions. His experience at Advent covered all aspects of investing, including management of both funds and investor relations. Upon his return from Asia, John joined The Tucker Anthony Private Equity Group (Park Street Capital) and helped establish it as a leading private equity fund of funds management company. Park Street Capital manages a series of funds for institutions and families. John was responsible for fund access, fundraising, fund oversight, and management. John received a BA from Harvard College and an MBA from Harvard Business School. He is a member of the Board of Directors of Advent International and Adcole Corporation. John is also a trustee of Middlesex School.